Located in the heart of Saskatoon at the University of Saskatchewan and overlooking the scenic Meewasin River, the Children’s Hospital of Saskatchewan (CHS) is a new, six story, state-of-the-art, full clinical service facility dedicated to the healthcare needs of children and expectant mothers. Linked to the existing, adjacent Royal University Hospital, CHS will absorb the former’s pediatric and obstetrics programs. Additional services provided by the hospital include a regional trauma center, serviced by a helipad, and support for teaching, medical and community healthcare education programs. 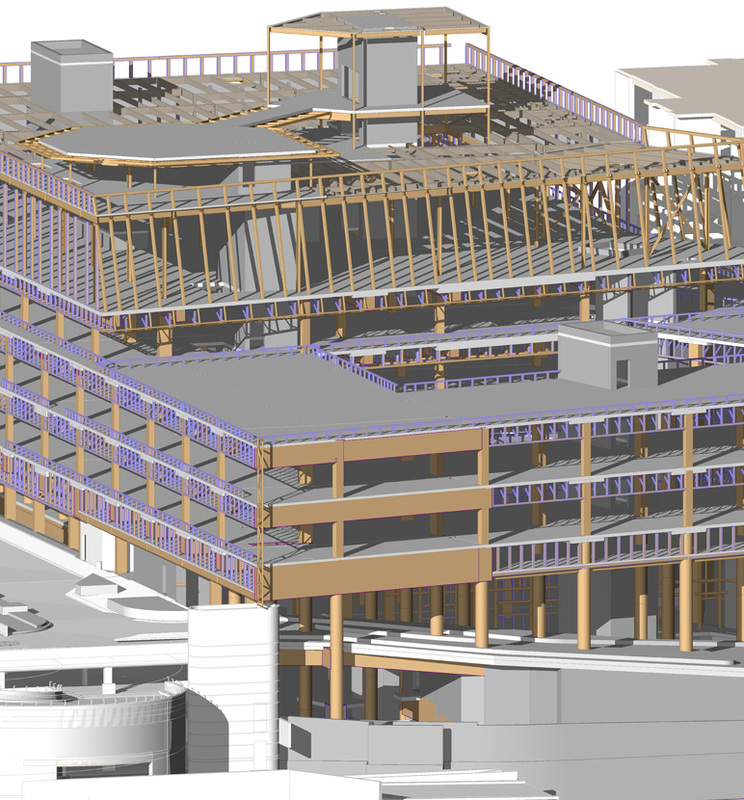 Challenge: Design column free cantilevered corners with 7 m and 9 m spans on each hospital floor without using post-tensioning and without interfering with mechanical services. 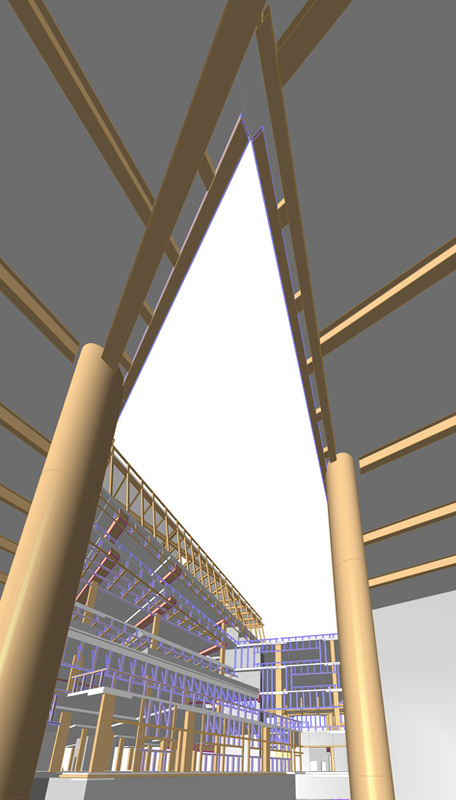 Solution: An 1800 mm deep concrete beam was provided on the column line along the face of the building, where it could be integrated with and concealed by the facade, and augmented with a 1500 mm deep beam half a bay inboard of it. The tips of both beams were cut back short of the slab edge to allow for mechanical HVAC services to run around the perimeter of the building, and to reduce weight at the tip. Plumbing and electrical services were located in the back span portions of the cantilever beams to minimize the impact on the beam design.